Posted November 17th, 2016 by Connected Fiber & filed under Fiber Optic News. Posted October 11th, 2016 by Connected Fiber & filed under Broadband Internet. Posted September 21st, 2016 by Connected Fiber & filed under Broadband Internet. 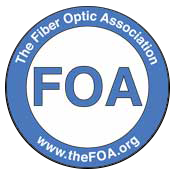 Posted January 7th, 2016 by Connected Fiber & filed under Fiber Optic News. Posted December 22nd, 2015 by Connected Fiber & filed under Fiber Optic News.